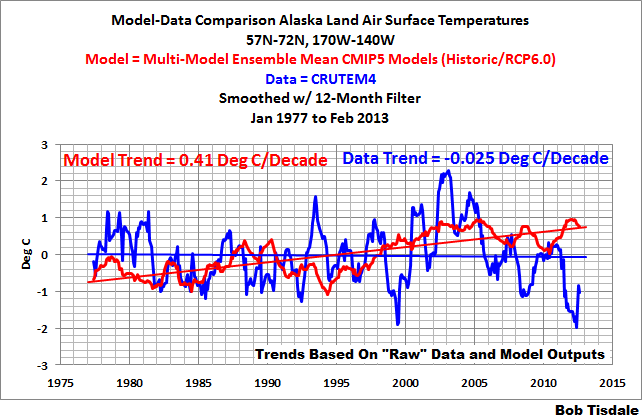 Model-Data Comparison: Alaska Land Surface Air Temperature Anomalies | Watts Up With That? June 27, 2013 in Uncategorized. WOnderful, Brutal! Oh the brutality, I looked at the photo. Journalist schools are such a marvelous invention. What you mean there’ll be Bikini babes all over the place? Wait, can we model that? Hey! That’s OUR argument! You cleptocrat warmists! My bet is that Alaskans are celebrating the brief warm spell. It won’t last…. Thanks Bob (again) for a great report. Climate models are well-established as neverending comedy fountains, but frankly I’d rather see taxpayers’ money spent on something serious. You can’t make up the crap SkS spews forth. Then take a look at the DMI high arctic temperature mean this summer — it’s running about 1.5* – 2° below the long-term mean. The summer move above freezing came about ten days late. So it’s not that the models are wrong and therefore climate change doesn’t exist. It’s that the models aren’t perfect, and it’s looking like things are worse than we thought. So it’s not that the models are wrong and therefore climate change doesn’t exist. It’s that the models aren’t perfect, and it’s looking like the models are worse than we thought. Figure 4: Looking at the model predictions vs the CRUTEM4 data beginning ~ 2000, I am struck by 1) a roughly FLAT trend for the model predictions (temps NOT rising???) and 2) a distinct COOLING trend for the CRUTEM4 observed data. I know – meaningless, meaningless, but it will be interesting to see what happens in the future. With its topography Alaska sports an extreme gradient of marine influence. At the coast there is a classic Marine West Coast or Marine Subarctic regime, meanwhile a few short miles inland it’s Mongolia or inner most Siberia. The whole West Coast sees this to varying degrees. Here in Norcal it can be 55 deg F at the beach meanwhile some semi desert intern montaine basin 20 miles inland has 105 deg F.
Alaska has suffered through 2 straight brutal winters and awful summers. Now they get some nice weather the people are very happy and the greeny wackos are trying to argue that they are suffering. How many times have you heard the preducial statement “Unprecented since….”? #4 son is working at a resort in the Denali National Park this summer and told me last night that ALL the natives up there are ectastic about the brief warm spell they are getting. He told me they told him it had been about 2-3 years since the last one, but that in the past they might have had temperatures in the high 80’s or low 90’s for up to 2-4 weeks. He also told me that the bugs are already bad. Weren’t there serious low temps in AK in the last winter or two? I can’t remember the temperature in Hay River NWT the July 2 I inspected the runway there, that area seems similar to Fairbanks but is distant from it though both inland and Hay River is on a big lake. My memory is hot, albeit out on the asphalt and gravel there’s much heating by the sun. Big flies. 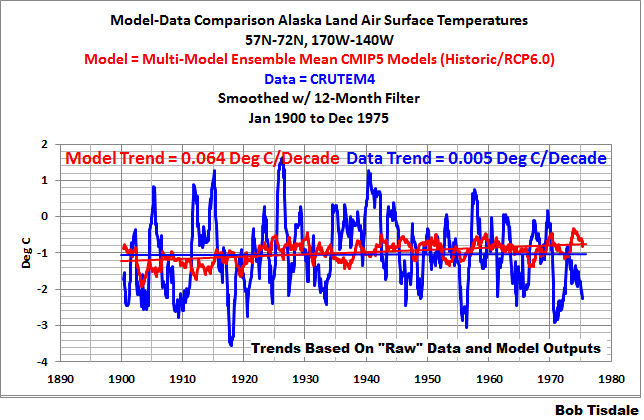 If you want to compare alaska surface temps to models then you must use a model run that was focused on regional accuracy. You are using the wrong model runs. Sadly the domain doesnt cover all of alaska. But you can check out what there is. Actually, I’m not. The CMIP-archived models were used for regional temperature presentations in AR4. Where was all the hysteria when the winter temperatures were brutally cold? Or was that caused by global warming too? You are aware that that is the result of a model I hope? My daughter lives in Anchorage. She said they went from snow warnings to the heat wave in about a month. They are loving the weather other than their lack of fans to cool the house. “Actually, I’m not. The CMIP-archived models were used for regional temperature presentations in AR4. yes but you didnt pull those results for your presentation. Are they also too stupid to find the model that works? Use only dice that throw a six. Anyone who has been keeping an eye on temperatures around the developed world will know that this has been a particularly cold and prolonged winter in Alaska. So how can a brief warm spell possibly be anything to do with global warming. I call out the bullshitter journalists making this claim. Anyone who has been keeping an eye on temperatures around the developed world will know that this has been a particularly cold and prolonged winter in Alaska. As Pieter F. said, Take a look at the DMI high arctic temperature mean…. Daily mean temperature and climate north of the 80th northern parallel, as a function of the day of year. The temperatures have not made it above freezing yet this year and it is passed the summer solstice. This is 2012 for comparison. It is definitely colder up there this year. I learn something new here every day. I never realized that Alaskans own bikinis. Ric, they need them for the winter visit to Hawaii. So, 17 days in June above 70, 19 at a local TV station. Normal is around mid-sixties. Big cool down coming, and rain. May be a new pattern with a persistent low and prolonged cool and wet conditions. Last summer had one of the coolest Julys on record and the previous one had 36 straight days of rain, but a great King Bolete crop. Somebody, you, Gavin, or another must unpack these concepts. What is internally created noise? What is that with regard to specific aspects of the programming or scientific principles embodied in the model? The models are different, aren’t they? Do the differences make up the noise? If not, what is the noise apart from the other differences among the models? Are you sure you know the difference between process and product here? The model and its preparation belong to the process. The numbers generated in a run are the product. Does noise belong to process, product, or both? What you vaguely describe sounds more like different scenarios run on the same model. All the calculations make not reality. Hi, Bob Tisdale! Another fine refutation of the CAGW propaganda. Thanks for the instruction. I’m sorry, but, the “doo-doo” thing is just tooooo old-fashioned sounding. I am not at all the one to ask for the latest lingo, but, from the conversations I have from time to time with people in their teens or twenties, it would sound kind of dumb. To someone in her 40’s, well,….. it sounds…. please forgive me,…. kind of dumb. In the movie (THANKS for sharing the clip — that was fun! ), it made me laugh. But, as a title, without Gene Wilder standing there in his Einstein costume yelling it, well, it just doesn’t have the same impact. So, GOOD idea, but, too “babyish” …. or something. Your suggested title with, instead, the “sh” word and an exclamation point after it would be PERFECT, but, too coarse (thank You, Lord, our culture hasn’t gotten that vulgar) for a serious, mainstream, book title. — Thanks for asking for our suggestions. It was fun trying to think of some! My obvious intent was that CMIP-archived models (CMIP3 and CMIP5) are used for model-data comparisons and for the study of regional climate. Again, Steven, CMIP5-archived models are regularly used for regional purposes. Hi Janice Moore: Thanks for your comment about the book title and your suggestions. Since doo-doo is wrong and the s-word in also wrong, there is a step in between: crap. “Climate Models are Crap!” has a nice ring to it and it gets the point across. The problem with regional climate models, Steven, is that climate models in general still can’t simulate coupled ocean-atmosphere processes or teleconnections. 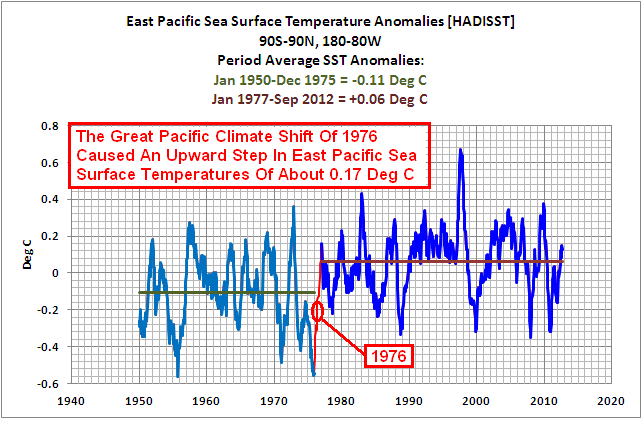 And because coupled ocean-atmosphere processes (ENSO and AMO, for examples) and teleconnections are responsible for much of regional short-term and long-term climate, any detailed evaluation would be a waste of time at this point. Yes, it’s true that climate models have underestimated the amount of warming and ice melt in the arctic. One problem for Alaska is that many of their homes, bridges and roads were built on what is now “melting permafrost.” Building infrastructure in Alaska is expensive and the number of roads is rather low. Unfortunately, climate change is destroying the infrastructure that they have in Alaska. 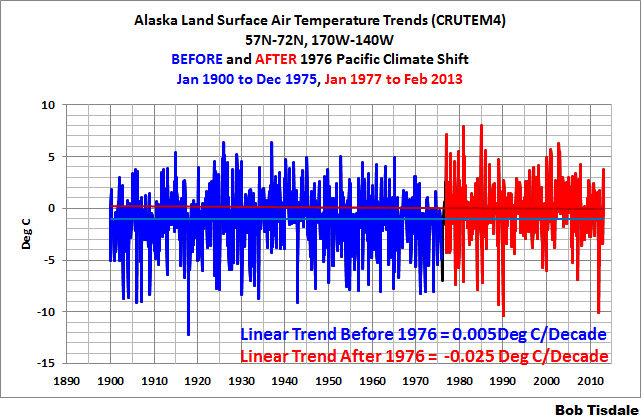 Janice Moore: PS, there’s always “Climate Models Show No Skill”. And, please forgive my sickeningly blunt (to such a fine person as you, that is) manner in telling you what I thought above. Just tired and thoughtless….. and wrong. Thanks for your kind response. Mosher, an English Major by education, has for quite a while occupied himself with climate models and maybe even ran some himself. As he has invested considerable time and effort he is unwilling to dump all that, is my guess, and thinks they can somehow be made to work. Even though he himself has pointed me to one of their shortcomings – he does actually know about some of the shortcomings. My assessment of current climate modeling goes along with rgbatduke’s argument. I think that for very principal reasons the best we can get are the pragmatic weather forecasting models with a time horizon of max. 10 days in the more easily predictable situations. 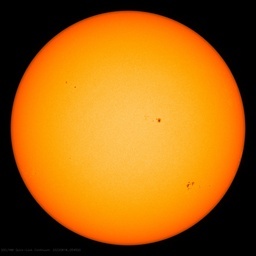 ONLY if solar activity has a major influence would there be an alley along which we can dare very long range forecasts. But that is something the climate models do not even try. The state has no financial or power interest in such research; only in proving the major role of CO2. As long as this interest of the state overrides scientific curiosity, climate science will remain a propaganda mill. We’re in trouble. They know the truth and and they don’t care that we know it because they’re gonna take as much of our money as they can steal. To what extent do “adjustments” influence the BoM temperatures used by Bob above? It seems from posts at WUWT that these are regular occurrences in Australia, New Zealand, the UK and USA, with older values lowered and later ones increased. 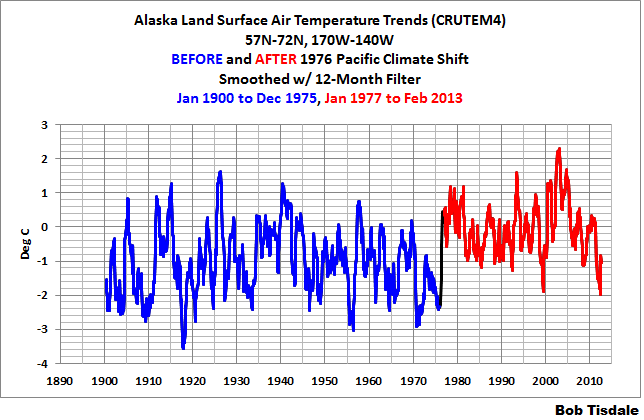 The public see this and other manipulations as mere accommodations to suit the AGW failed theory. No wonder, in the face of observations that we are growing increasingly skeptical of alarmists and their failed models. Janice Moore, blunt is good. I’m a firm believer in it. Always have been. Got me into trouble as a kid, but served me well in a corporate environment (olden days, before PC)–my boss and upper management appreciated it, but other middle management didn’t. Good advice, Anthony, and not just for the climate wars. Maybe, by the time I’m 95 years old I’ll have learned to do that! Arrgh. Say, I used your name to get this message to you mainly because I’m concerned about Josh. I’ve been praying that all is well with him. Please tell him that he is missed and I hope everything is okay. Curiously, data trumps models in all sciences except climate science. When the data fails to support the models, the data is adjusted and another modified dataset is introduced to overcome the failing of the models (the pentadal 0-2000m OHC data as an example).